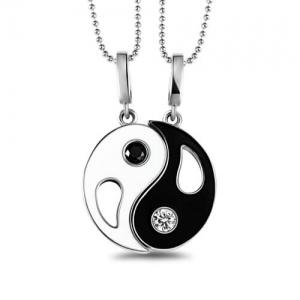 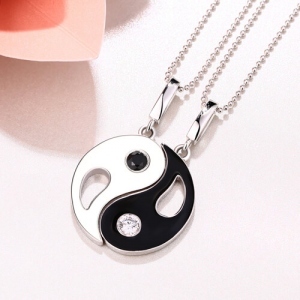 This pretty yin-yang necklace from Getnamenecklace is a symbol of balance between two complementary opposites that, together, represent complete wholeness. 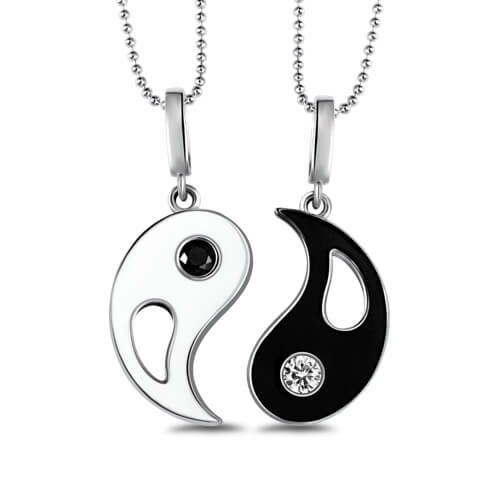 The set contains two necklaces, which can be shared with a special person to celebrate your diverse personalities and beautiful relationship. 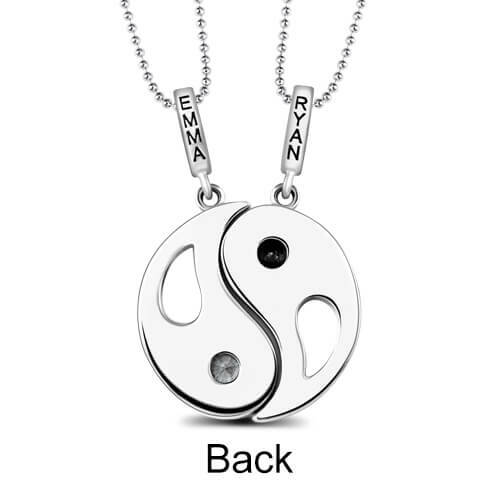 Styled in sterling silver and suspended from a bead chain, this attractive necklace can be customized with your choice of birthstone or engraving.